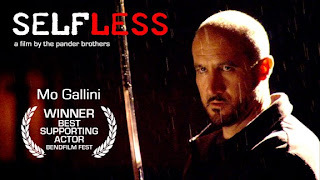 Actor, Mo Gallini, awarded Best Supporting Actor at BendFilm for his roll in SELFLESS will be on hand at both screenings of SELFLESS at the Santa Fe Film Center, Thurs Dec 4th at 4:15pm, and Sat Dec 6th at 9:15pm. 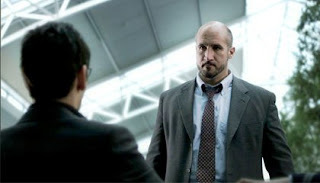 Hollywood veteran character actor Mo Gallini co-stars in the Pander Bros.’ “Selfless” as Wesley Stone – a master at identity theft who destroys Dylan’s career as a rising star in the “green” architecture movement after a random encounter in an airport lounge. The son of a Lebanese father and Cuban mother, he was born and raised in Miami, then spent two years at the University of Florida in Gainesville before following his family to Los Angeles. As “Selfless” pushes Gallini’s take on his familiar heavy archetype, another recent role allowed him to explore other facets of his talent. Gallini was cast as a coach who mentors a troubled kid in the independent feature, “Fuel.” "It was a very, very different role for me, after years of playing the Bad Guy!” he says with a laugh. 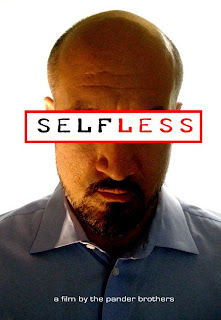 SELFLESS - Trailer - "DO YOU KNOW WHO YOU ARE?"